On October 11 and 12, I’ll be helping my friends bring SCIENCE to GeekGirlCon. My contribution: making Möbius strips and Klein bottles out of paper! If you couldn’t make it to GeekGirlCon in Seattle, or maybe you came to my station, but you want the instructions on how to do this activity at home? Well, you’re in luck! Click to get a printable template for five Mobius strips. 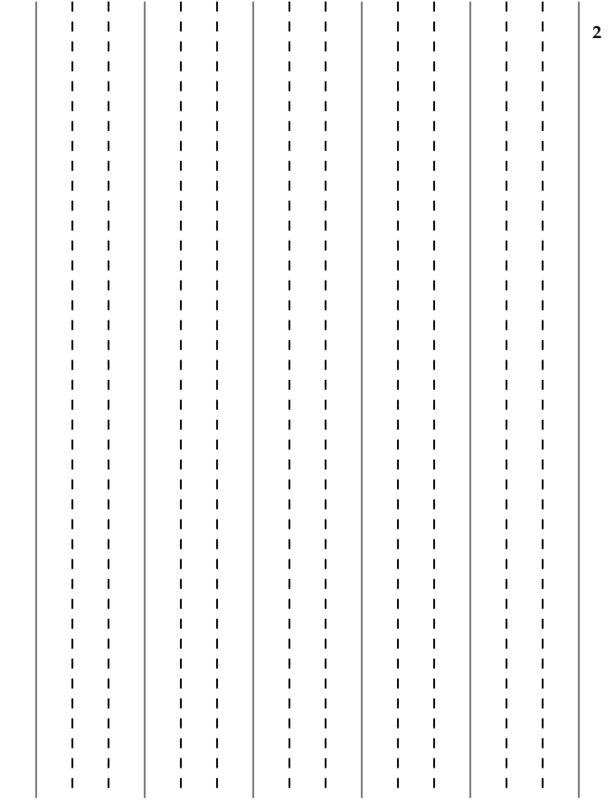 Print this with as small margins as your printer will allow, and cut along the solid lines to get basic Mobius strip shapes. If you take a strip of paper and join the ends together (but don’t tape them! ), what shape do you get? How many sides does this shape have? Now twist one end halfway, so the other side of the paper is facing you, and tape the ends together. This is a Möbius strip. How many sides does this shape have? You can check this by drawing a line down the middle of the strip. Optional 1: cut your Möbius strip down the middle line you drew. How many sides does this shape have? Optional 2: cut that shape down the middle. What do you have? Optional 3: now take a strip of paper with the printed dotted lines and make a Möbius strip of it. What do you think you’ll get if you cut along the dotted lines? Try it! A Möbius strip is a flat shape with one side. You can’t put coordinates – think x and y or latitude and longitude – over the whole strip without it breaking down. In mathematical language, that means a Möbius strip is a “non-orientable” surface. The cuts in the optional exercise are ways of exploring the types of paths you could take on that surface, or the ways you could divide the Möbius strip into sections. What could you do in a video game on a Möbius strip. What kinds of things could you do? Click to get a template for a Klein bottle. Again, print out with as small margins as possible for best results. 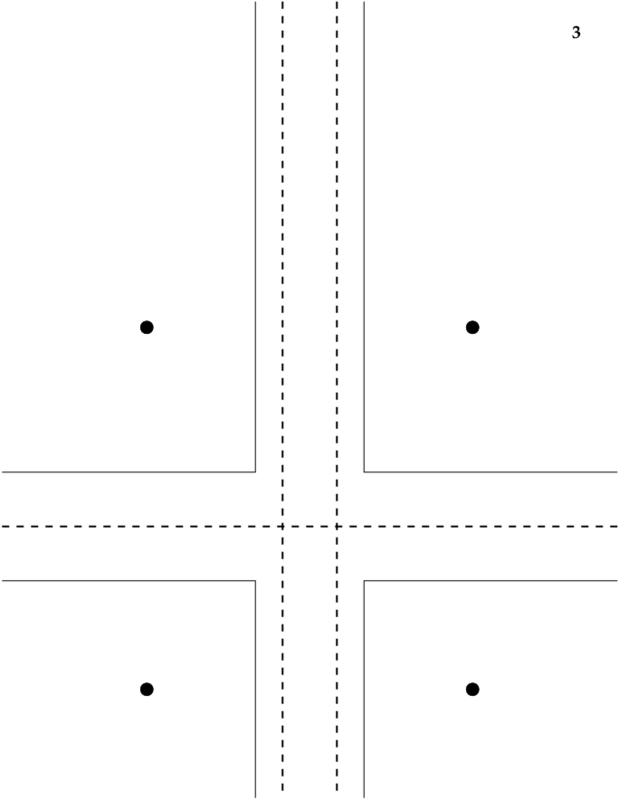 Now take the paper with a cross shape and cut along the heavy solid lines to make a cross. Join the long arms into a Möbius strip and the short arms into a simple loop. This shape is a simple version of a Klein bottle: a bottle with no inside! A proper Klein bottle can’t be made in the real world because it would require passing the paper through itself, so we cheat by using a cross. Can you tell it has no “inside” by tracing lines on it? Klein bottles are the next step up from Möbius strips, and they are also non-orientable. Think also what you could do if you could make a video game taking place on a Klein bottle. What other kinds of shapes could you make with the cross? How could you (for example) make a pretend sphere? What happens if you twist both arms instead of just one? For more fun! Try my earlier posts on making paper donuts and what all this means in the branch of math known as topology.